AHHH! 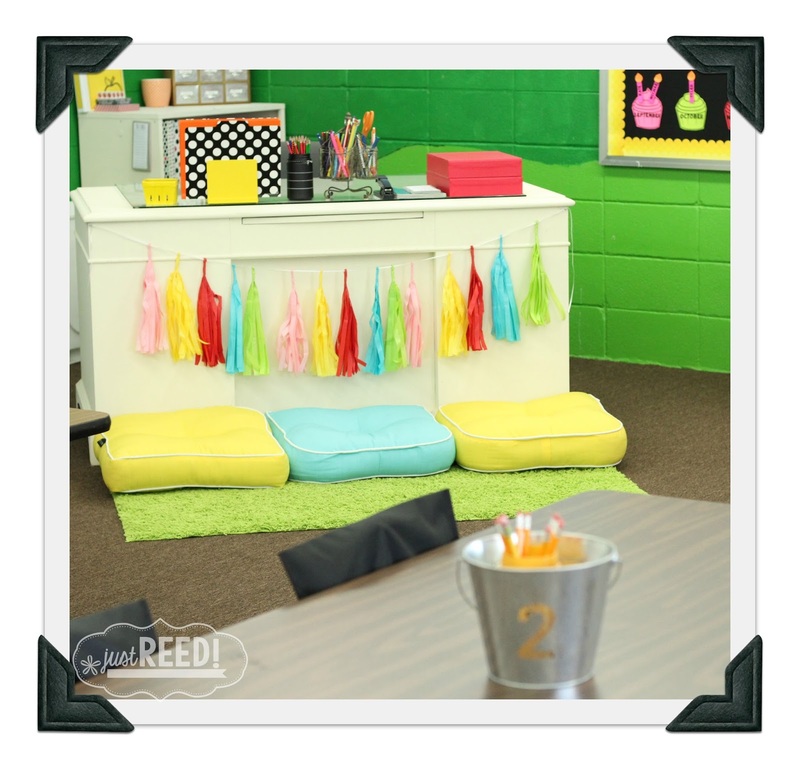 The big day is FINALLY here…the classroom reveal! 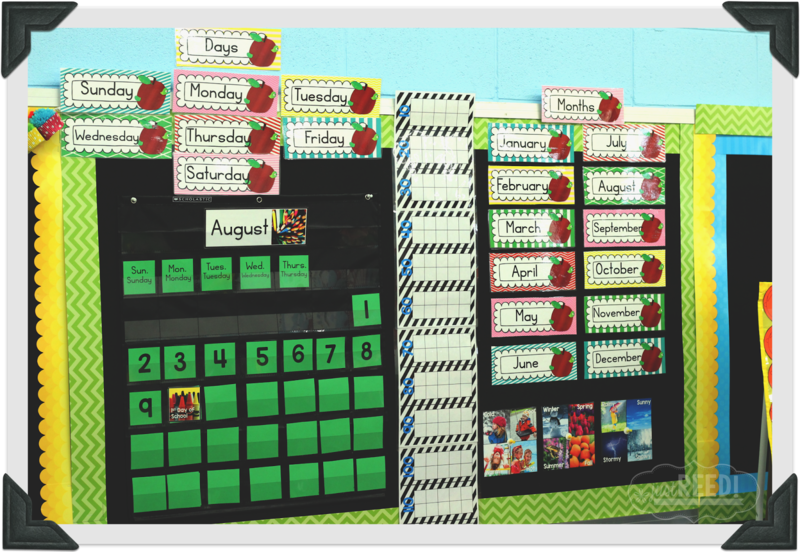 This year I created an Apple Decor theme set to decorate my classroom. It involves color (green, red, yellow, pink, and turquoise) + Patterns with a subtle infusion of apples! 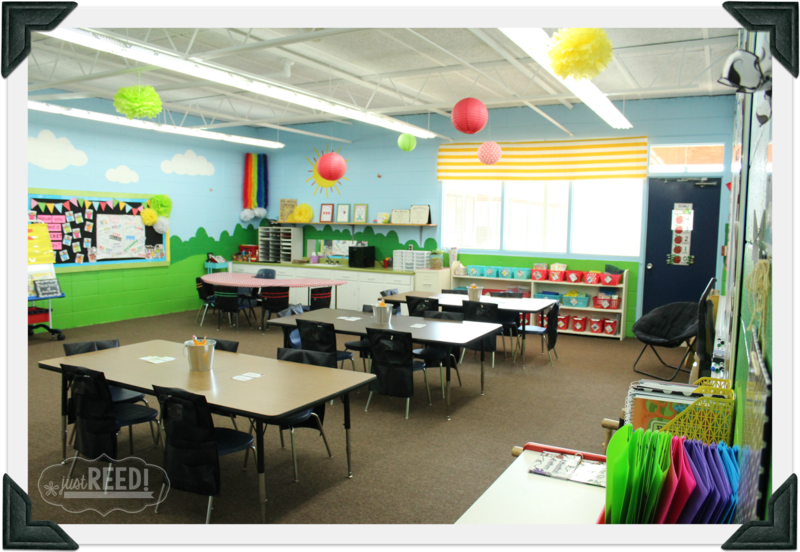 It’s the perfect environment for my first grade classroom!First I’ll give y’all an overall view, and then I’ll hone in on a few details! Many people have asked me if I painted the room. No, it was already painted that way. This was previously the 3K room but is now the room for first grade. 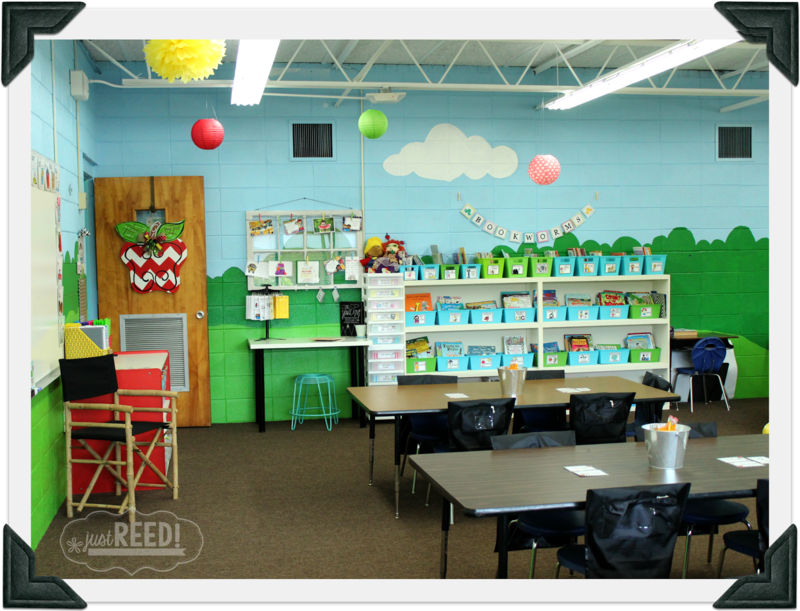 This building houses Pre-K, K, and now 1st, and each room and hallway in the building is painted like grass and sky. I chose to paint have hubby paint all the furniture Ceylon Cream to tone down the walls a bit. I didn’t want the furniture competing with the other colors! Speaking of hubby….he worked so hard this summer!! He actually sewed my valance for me, painted all of my furniture, spent about 4 hours steam cleaning my carpet, washed the windows, installed new mini blinds, AND painted the ceiling a bright white for me. He truly went above and beyond! I am blessed!! 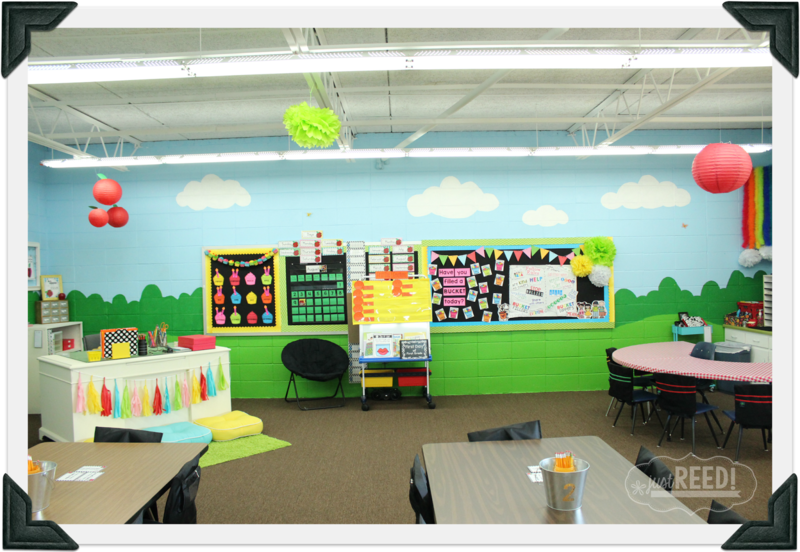 Several parent volunteers installed bright fluorescent lights donated by Walmart….so my room is bright and airy! It’s quite stunning! 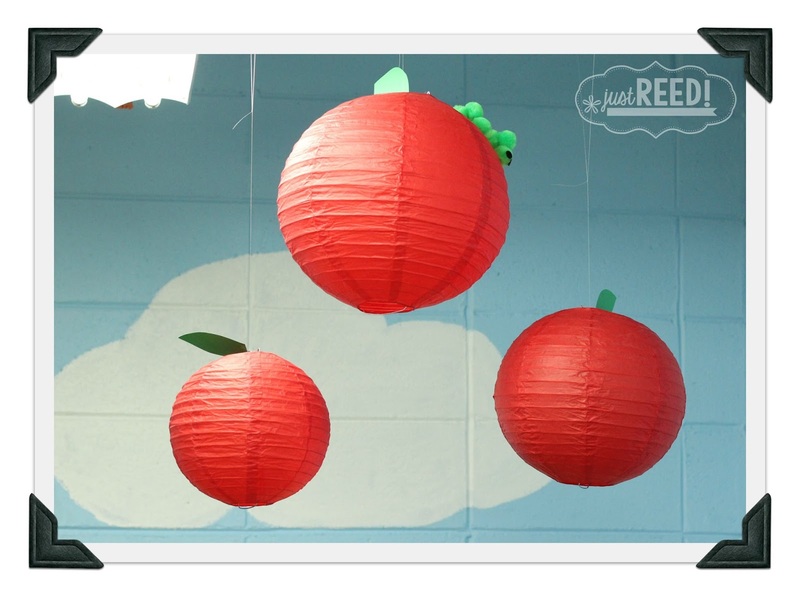 Creating some apple lanterns to hang above my desk was a must! 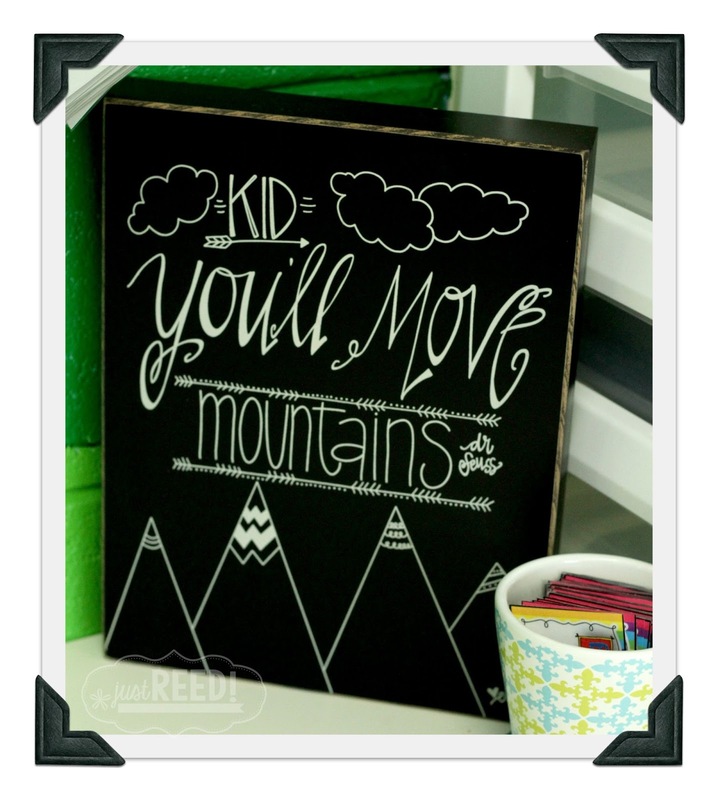 I also made some inspirational prints and put them in rustic chalk-painted frames. My birthday board is one of my favorite parts of the room. 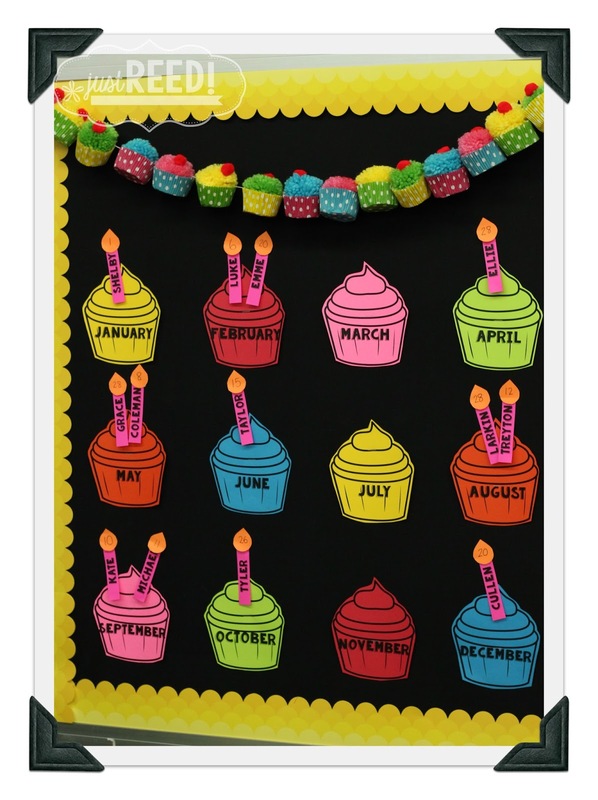 I found this fabulous cupcake garland on Etsy, and I created Astrobrights colored card stock cupcakes and candles to highlight student birthdays! 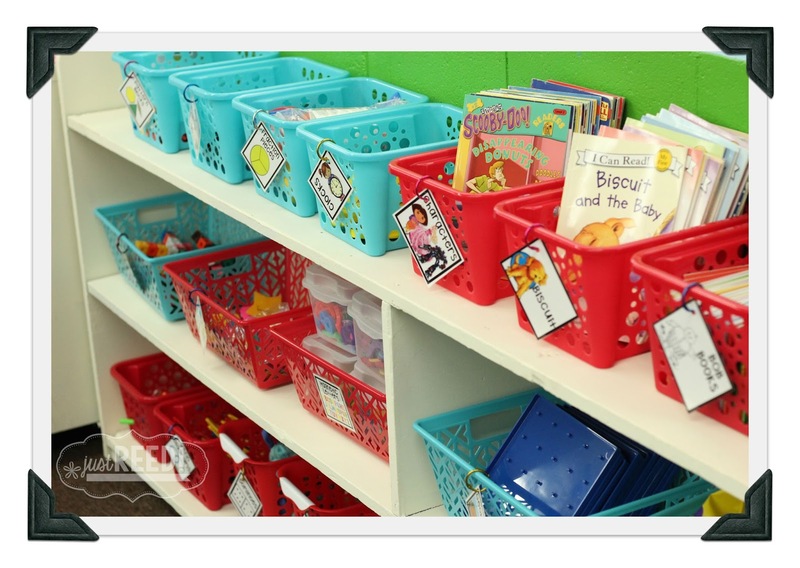 I also love the red and turquoise Dollar Tree tubs I picked up for organizing my classroom supplies. I shared these labels as a freebie a while back! label and add the correct label! My classroom writing center is OFF THE CHAIN. I can just imagine the SQUEALS I’m going to hear the first day of school! I’m in LOVE with my desk! I purchased it from a retiring insurance agent. It’s an antique that is well built and beautiful! Hubby painted it Ceylon Cream and I fancied it up with some tassels purchased from Schoolgirl Style! The cushions came from Marshall’s and will be used for reading spots around the room. And of course I had to create the perfect workstation behind my desk to organize all my goodies…and to inspire me a bit! The “Keep Calm and Teach On” print is from my Desk Decor packet. 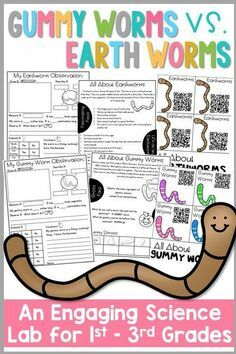 I’ll be working on other similar packets later! One thing my kiddos always love is my Question of the Day. 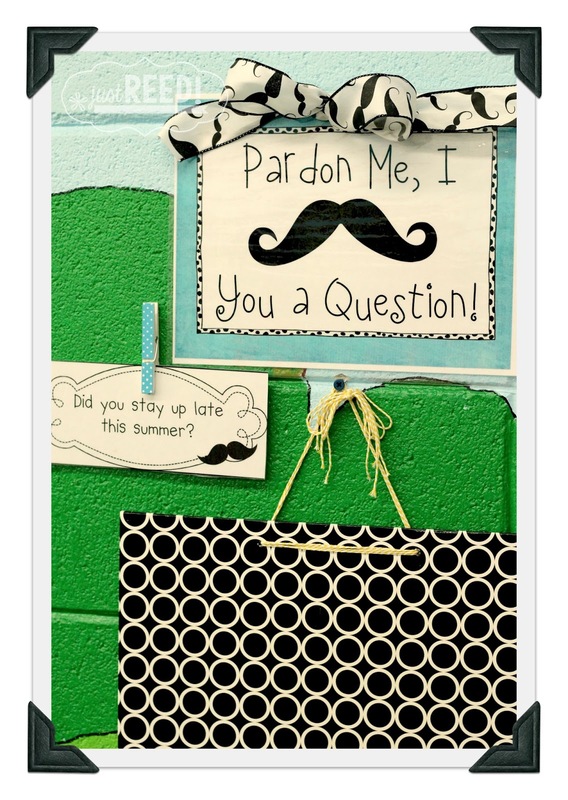 The first day of school I take the students pictures with a fake mustache on. I’ve decided to take a thumbs up pic for YES and a thumbs down pic for NO this year and make the magnet reversible. Students read the question and vote in the morning “Yes” or “No.” It’s so much fun to watch them progress from being unable to read the question to reading it fluently as the year progresses. 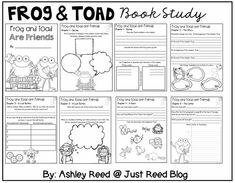 You can find my QOD bundle here. It’s mainly black and white so it’s very good on ink! I’ll have a follow-up post after school starts to demonstrate the board in action! 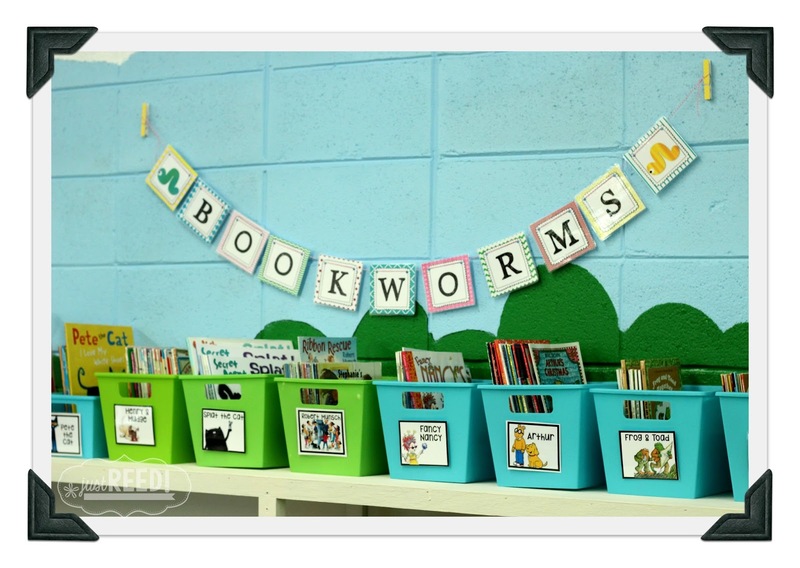 A classroom can never have too much inspiration! I found these goodies at Hobby Lobby. I found these adorable buckets already numbered for my tables at Target. 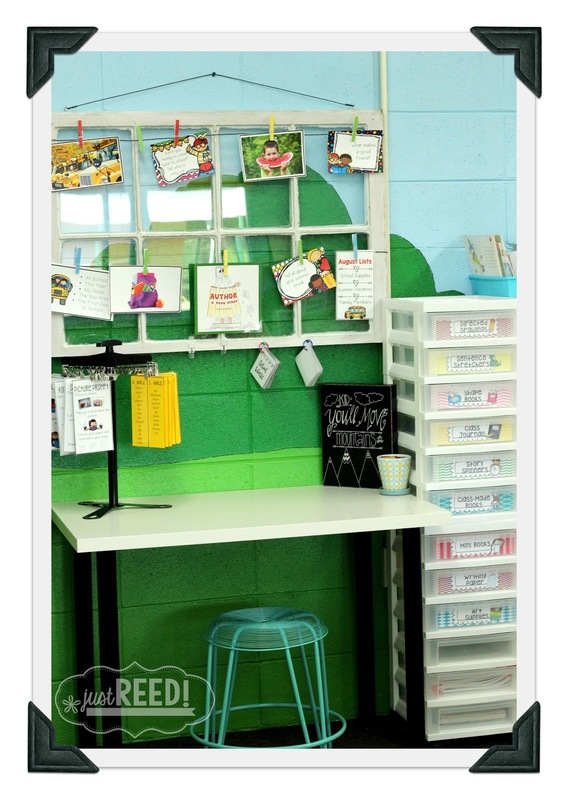 And I bought a classroom supply of Neat Seats for just $6 each from Michelle Oakes! I love how my small group table turned out! We used tablecloth-type fabric (felt on the back side, vinyl on the front side) from Hobby Lobby. Hubby stapled it under the table! 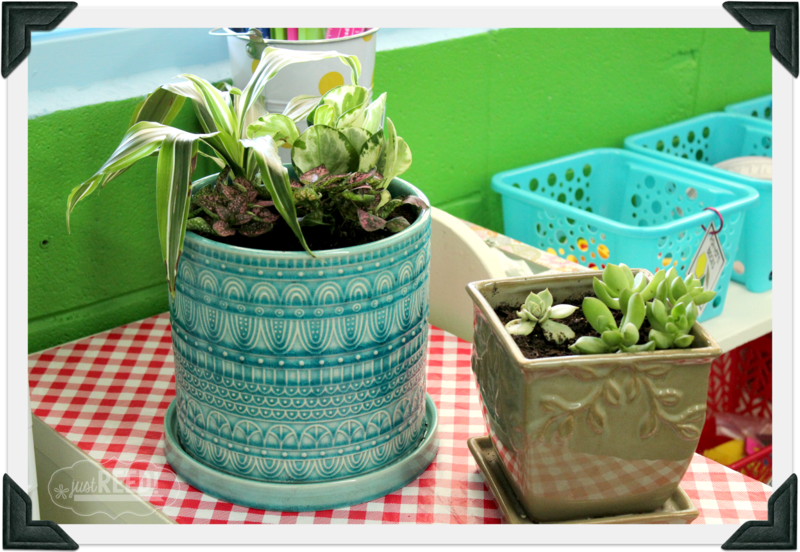 I plan to bring in a lot more plants and plant-based learning experiences and crafts this year! I just love how home-like a few plants make the space feel! And this is my check in station. 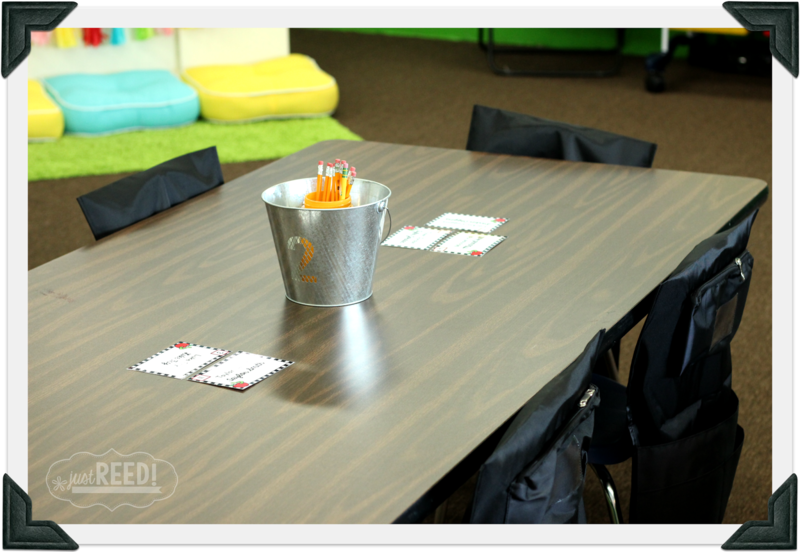 It has a basket for students to turn in their nightly folders, freshly sharpened pencils in a Target vintage pencil mason jar, our QOD board, and baskets labeled 1, 2, 3 (purchased at Target) for table activities, books to browse, etc. 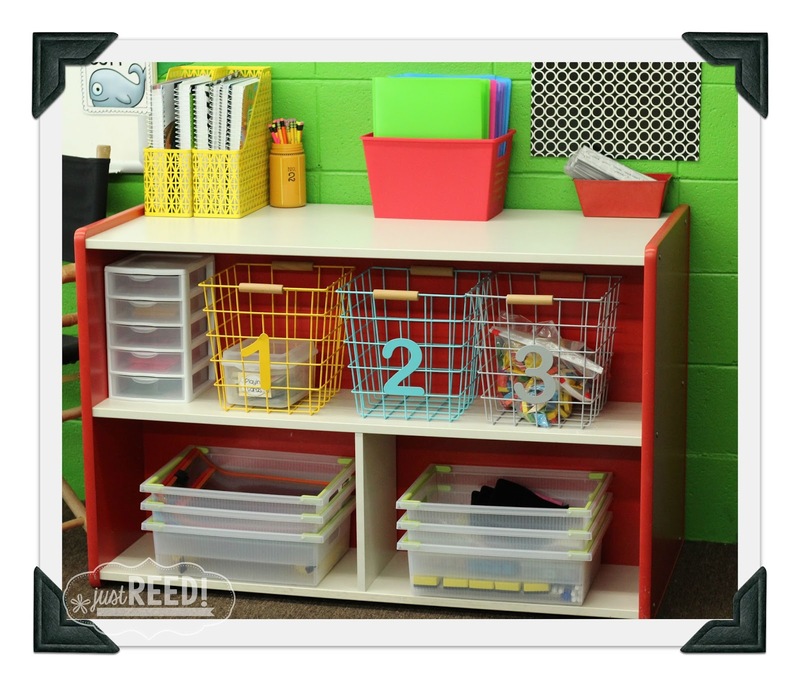 My black director’s chair is beside this table, and my teachers’ manuals are housed in metal cut-out book bins in a sunny yellow color (purchased from Target). 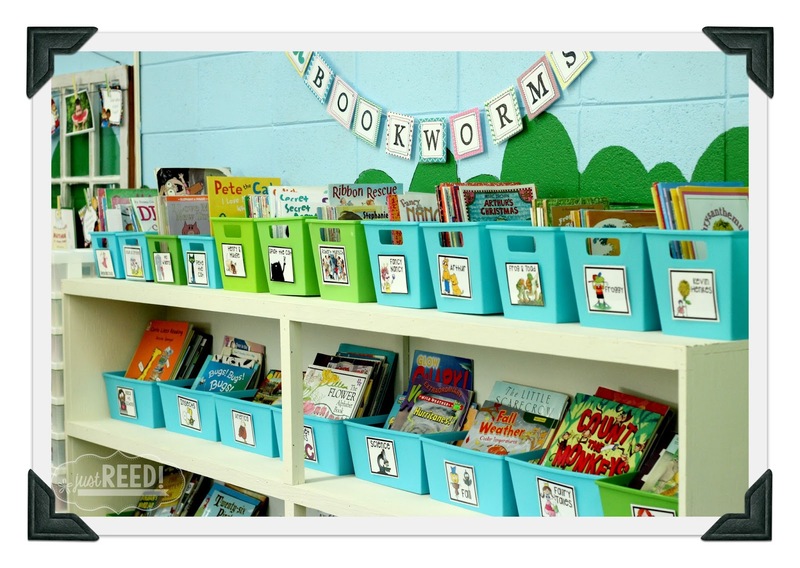 It also includes baskets of spelling centers at the bottom! 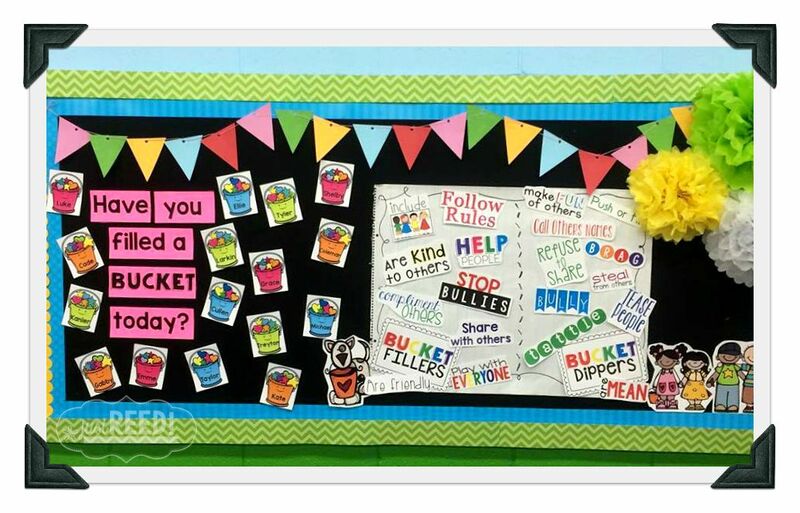 My main bulletin board for Back to School is a Bucket Fillers Display complete with components from my best-selling Bucket Filler Brigade unit. I got a pack of the small card stock triangles from Hobby Lobby. They’re perfect for a quick and easy bunting. I got the puffy tissue accents on the corner of the bulletin board from Hobby Lobby as well, and I ordered the borders from Schoolgirlstyle.com.Hmmm…I think that’s about it! Let me know what inspires you! 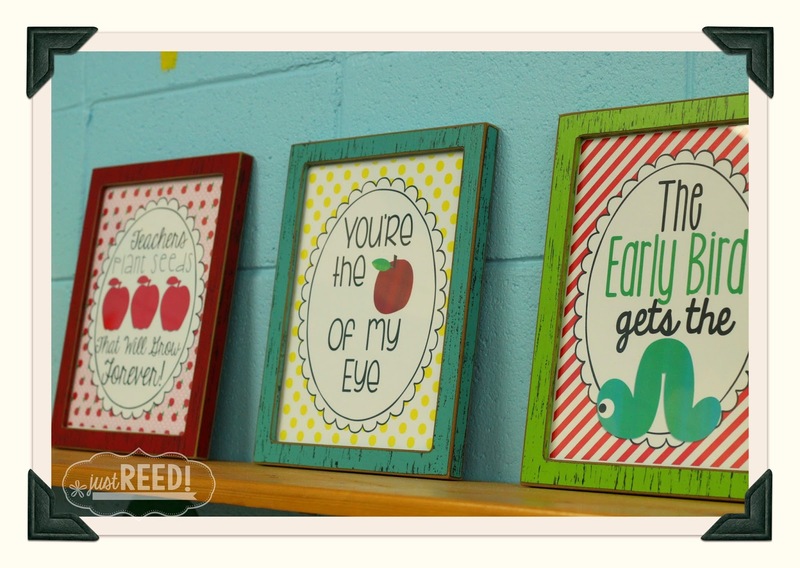 I can’t wait to see everyone else’s classroom reveals on FB, IG, and Bloglovin! Y’all have a blessed year! Looks great!! I love the ten frames for calendar time. 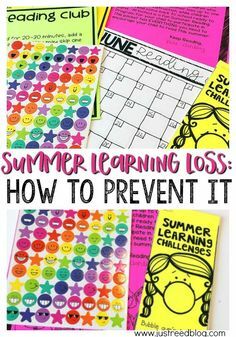 I think I'm going to try to add that this year! I have so much STUFF that it often looks cluttered and not organized. I took over a retired teacher's classroom last year and worked the whole year to clean it out. I'm still working on it! I noticed you don't have any filing cabinets. Do you put everything into the binders? 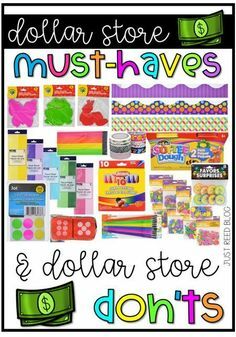 Where do you store other "extra" materials like construction paper, math manipulatives, textbooks, etc.? I see a wall with some cabinets by the sink. I have to keep ALL of my textbooks in my classroom, so that also clutters everything up. Looking for fun solutions to all of my "problems" through looking at how others have dealt, too. It is absolutely adorable!!!! Love it!! It is beyond beautiful. Very cheery and welcoming. Great job. Wow! I am seriously blown away. 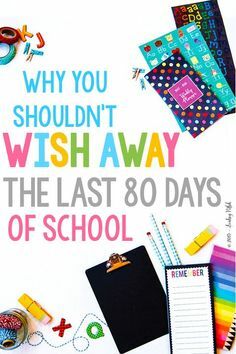 Your students are SO lucky!!! 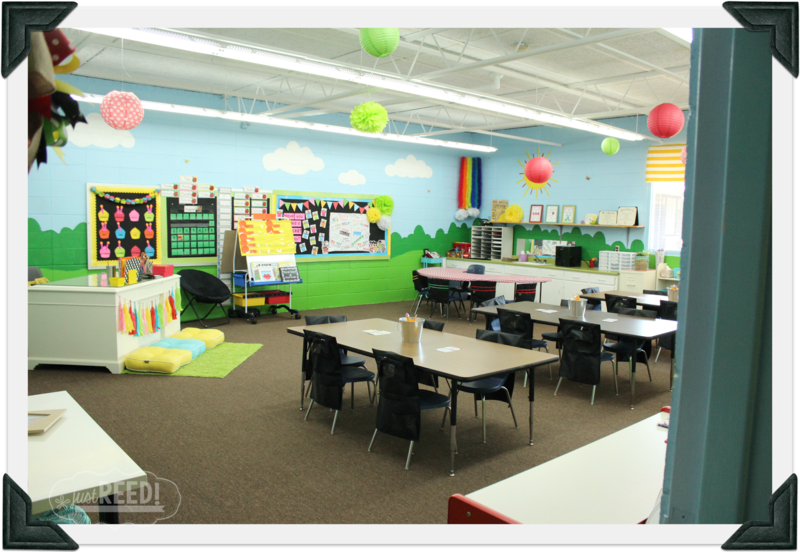 What a bright, organized, beautiful, happy space for them to learn in!! Well done to you and your hubby. Your room looks great! I love all the white furniture and bright colors. Your husband is definitely a keeper. WOW! This is one of my favorites ever! I looooove your room. It is so bright and cheerful and organized. Nice job!! Brooke, the spinner is from Hobby Lobby! I LOVE your desk!!! My "desk" is a dumb little table and I hate it. I love that you can paint your walls also. What a fun room! 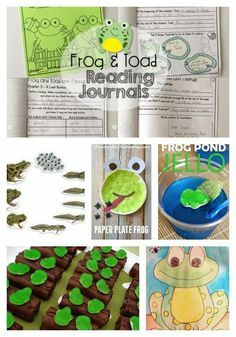 I want to be a first grader! So cute and organized! Love it. Your colors work so well with your walls. Love your room so much! 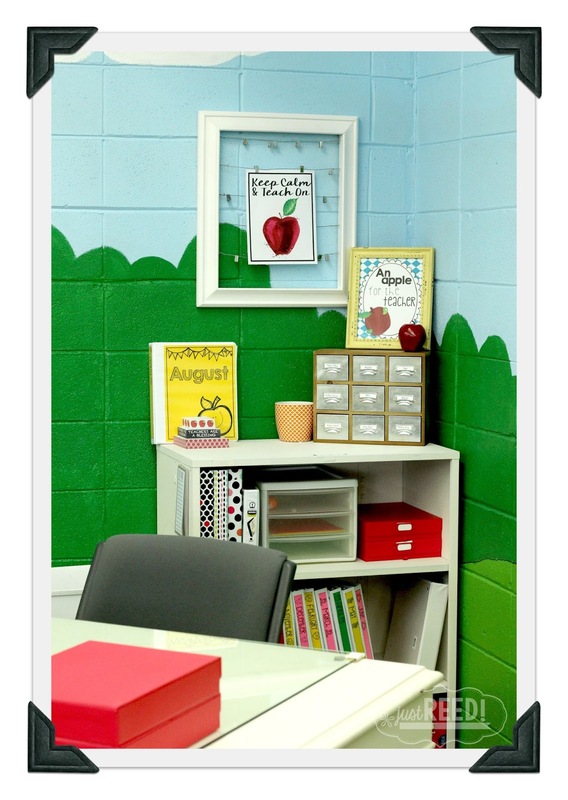 Where did you get the wooden Apple on your door and the library bookshelves? oh my gosh! I'm off to your store again! I LOVE this! The walls make me happy! I have the 1-3 buckets, but those baskets??? what!!! Oh I love it Ashley!!! 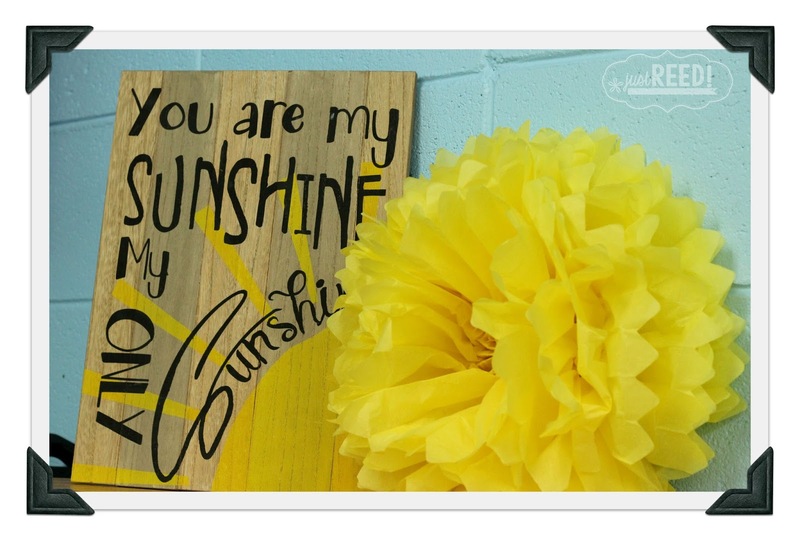 I love everything about your room! Oh Ashley… What a happy place to be! All of your hard work (and your husband's!) really shows. 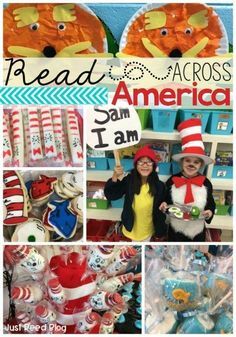 You've created a wonderful place for kids to learn and grow! 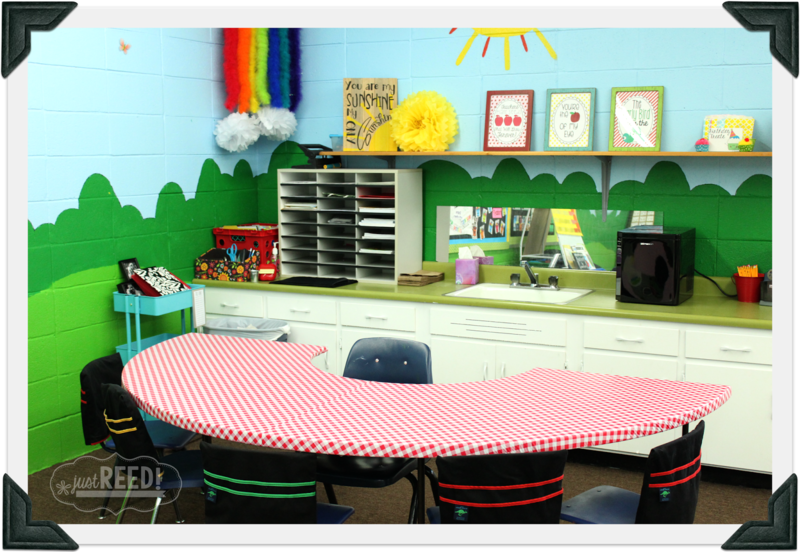 Your classroom is such a cheerful, welcoming and bright earning space! Love the gingham and apple accents! 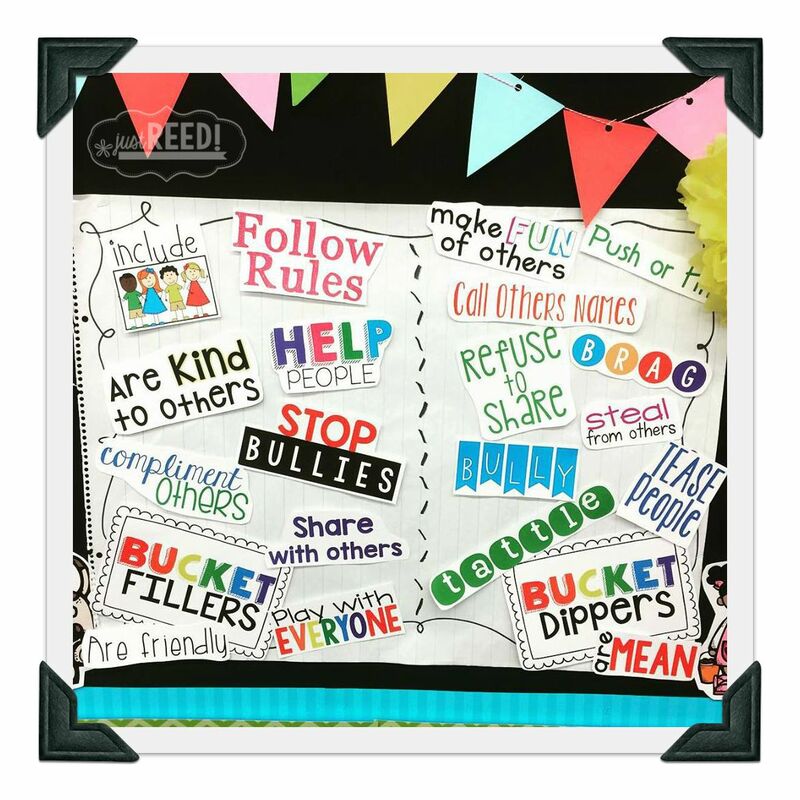 I recently purchased your Bucket Filler Brigade pack and cannot wait to use it with my 2nd graders! 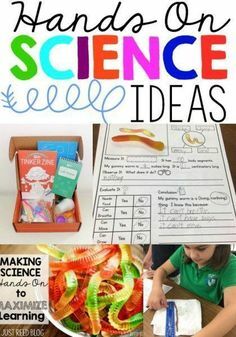 I want my daughter to be in your class. How can anyone spend the day in there and not be filled with joy?! Amazing!